How to Manage Human Errors with the Help of Payroll Software in Saudi Arabia? The more time you spend on manual payroll process then the chances for making mistakes will increases. It’s difficult to calculate overtime, calculate how many working hours your employee work. In such cases, human errors chances increases. It will waste your time and money by purchasing papers and manage them manually. In modern age, everyone is using automated software to save their time and money. Let’s take a look at the numerous ways using Payroll Software in Saudi Arabia will benefit your company. Employees will record the hours they work during a shift at the end of their workday. Some may even wait until the final day of a pay period. But this is not good because this requires recording time from memory. With the use of this software, employees are paid for actual time since the system records the time they arrive and the time they leave. Attendance Software in Saudi Arabia saves your time clock uses personal identification features such as a fingerprint to positively identify who is entering time into the system. Many companies operate at more than one location. To keep track of employees’ time with manual processes, they will need to setup a system at each location. To highlight the benefit of using this software, you can have one system that merges employees’ time from mobile jobs and multiple locations. Time collected while employee’s works in the field are captured and available for payroll administrators. When you implement an electronic system, Leave Management Software in Saudi Arabia will have an accurate way of tracking paid time for hours worked and paid time not worked. Whether it is sick leave, vacation days or holidays, you can set the parameters and codes to ensure your employees’ time is complete. For generations, time clocks have been used in workplaces of all sizes and industries. They are useful in helping employers keep track of how much their payroll costs. 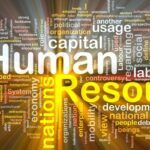 How HR Software in Saudi Arabia Engage Your Entire Workforce?